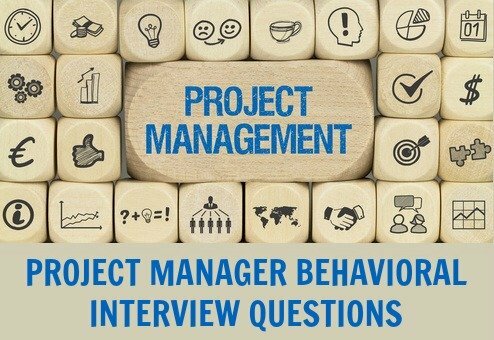 Project manager interview questions that explore the most important behaviors a project manager should demonstrate in order to be effective in the project management job. The project manager behavioral interview answer help will guide you in preparing your own convincing responses. The focus is on behavioral-based interview questions as they are used more and more in assessing suitability for a project manager role. Understand the STAR method in responding to behavioral interview questions. Go through these project manager interview questions and answer guidelines to prepare for success in your job search. 1. Give me an example of how you used your leadership skills to help your project team meet a difficult challenge. An effective project manager needs to lead though setting goals and using the right methods to guide and influence the project team towards goal attainment. Good leaders enable team members to feel they have a real stake in the project and encourage them to participate in problem-solving and decision-making. When answering project manager interview questions about leadership show how you understand the need to communicate and consult but are also aware that lots of talking and procrastination achieves nothing without decision-making and taking action. Effective project managers lead by example and are open and honest about the challenges they face. They recognize the importance of collective team effort in achieving the desired results. They are able to identify and use the strengths of each team member and allocate roles and responsibilities accordingly. This empowers team members to respond to the challenges that arise. Those that excel as project managers keep the project team motivated to give of their best to meet these challenges. They understand the appropriate management style to use with each team member at the different stages of team development. They know how to best utilize the competencies of the team and each team member to deal with challenges and problems. Find out more about leadership styles and traits at What is Leadership? 2. Describe a time when your communication skills helped in dealing with difficult clients or team members. After leadership, the ability to communicate effectively with people at all levels is regarded as the second most important project manager skill. Good project management requires clear communication about objectives, roles, responsibilities, performance, expectations and feedback. The project manager should be able to effectively influence and persuade clients and the team to ensure success. Explicit guidelines and expectations should be communicated to accomplish results. When answering this question it is important to show how you are able to adapt your style of communication to the person you are dealing with. Empathy, understanding and self-awareness all play a role in doing this. The ability to communicate with different individuals on various levels with diverse project interests is important for successful project management. Every project team and every project is different, you must be able to adjust your style to their needs. Part of effective communication is the ability to be enthusiastic about the shared goals and vision. Enthusiastic project managers are committed to their goals and express this through optimistic and confident communication. Be aware of your communication style during the interview including your body language and other non-verbal signals. Use the communication tips for job interviews to get advice on how to communicate effectively in your project manager interview. 3. Give an example of a win-win situation you negotiated. In all projects there are a number of stakeholders who see their concerns and issues as the most important. Effective project management means responding by finding the best solutions that address the issues without compromising the other stakeholders or the overall project. In your answer show how you are able to communicate essential information and workable alternatives in a way that gains acceptance. Your ability to understand the position of the other person and to focus on solutions rather than problems is key to effective negotiation on a project. 4. What was the most stressful aspect of your last project and how did you deal with it? The ability to cope under pressure is often explored in project manager interview questions. Very few projects stay on schedule, under budget and with no major problems. Expect project manager interview questions that explore how you manage stress. The ability to remain focused and effective in stressful situations is key to successful project management. Limited resources and time, changing demands and new circumstances all result in pressure on the project manager. 5. Tell me about a situation during a recent project when you had to adapt and manage change. Show that you can adjust effectively to meet changing demands and tasks. An effective project manager can quickly assess a new situation and adapt to it. The change management process is critical to the success of a project. Each change needs to be properly defined, considered and approved before it is implemented. Focus on developing a plan for change that addresses change on both a process level and on a people level. Careful and well thought-out preparation of the stakeholders for change and the ability to overcome resistance are key to successful change management. Your answer to should emphasize your ability to plan properly and thoroughly for change. 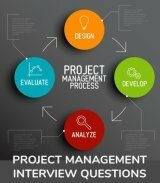 Prepare thoroughly for project manager interview questions that explore these essential competencies and show yourself to be a smart and effective job candidate. How to answer behavioral interview questions is explained thoroughly in the behavioral interview guide. 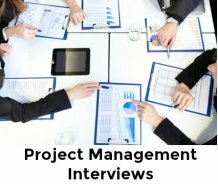 Review project manager interview questions that explore the quality of your experience in managing projects. Management interview questions and answers that explore your management style and management skills. Know how to answer those project manager interview questions that ask What Makes a Good Manager?